As official agents of Transas, Da Gama Maritime can supply your vessels with the latest Transas electronic charts and operating software including type approved ECDIS and official charts to assist in maintaining your navigational safety. 'Platinum' offer - including maritime high performance ECDIS workstation with dedicated 24" display in dual configuration. If you would like further detail on these offers, please follow this e-mail link. 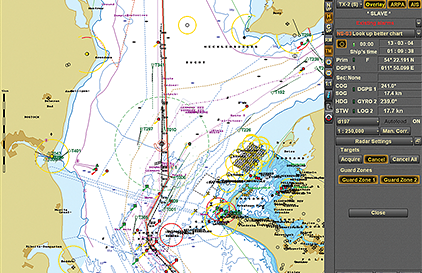 If you already have a Transas ECS or ECDIS onboard and are looking for the weekly updates to your charts, you'll be able to access it via these links - TX-97's or TADS.